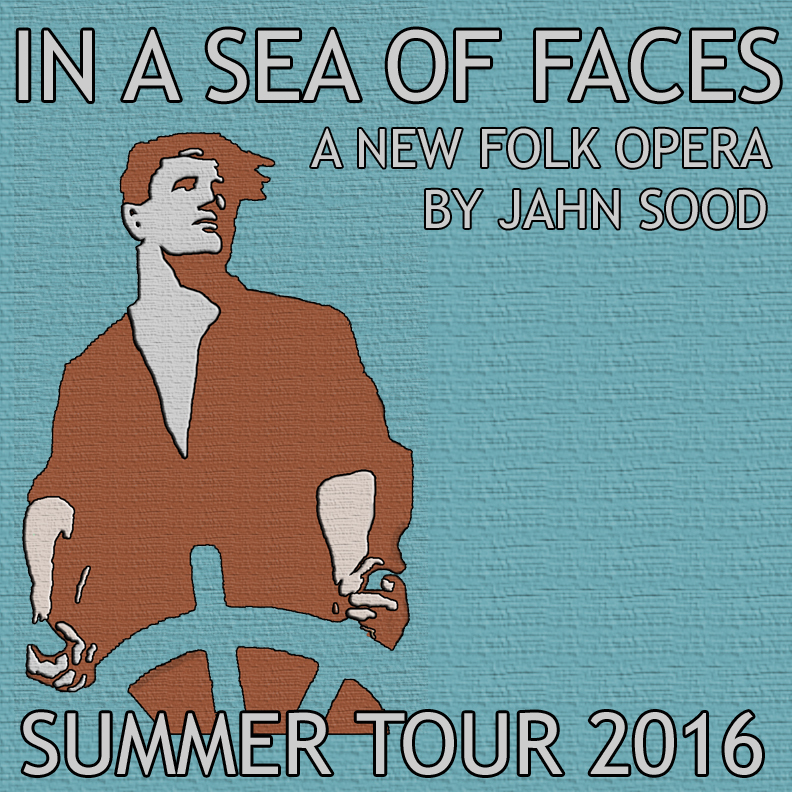 In A Sea of Faces: A New Folk Opera by Jahn Sood; Directed by Katie Melby; Music Directed by Max Mamon; tells the story of an isolated island community and a family who lives there. Long ago, foreign ships came to the island and introduced its people to grandiose ideas and desires, and the promise of opportunity abroad. Myth and idealism about far away places developed from the stories, and ultimately drew Jacob, the father, away from his family and home.